Overview: Given the rapid pace of change and innovation, the number and types of business growth strategies and risks have increased exponentially over the past decade. Given their leadership role as the key strategic thought partner to the business and board of directors, CFOs are responsible to help the business grow while ensuring that risks are identified, managed and integrated into the enterprise growth strategy in such a manner that they foster a growth culture while protecting enterprise value and managing downside risk. Innovation and The Risks: Whether it be entering a new industry or new markets, creating new products or services, targeting new customers, forming strategic alliances, changing distribution models or any other potential innovation options, CFOs must implement an enterprise risk management process (ERM) to ensure that they strike the right balance between risk and return such that the ERM assists in fostering growth. Member Impact: CFO Alliance Members will gather to discuss and share best practices and insights on how they balance driving accelerated growth while managing the associated risk and ROI through developing enterprise risk management processes and how they monitor and assess their impact to the top line, bottom line, and shareholder value. 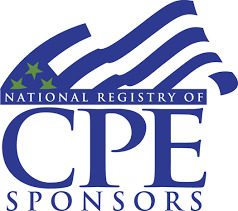 Please note that all attendees will receive 3 CPE Certificates. ​3 CPE Credits in Performance/Management.